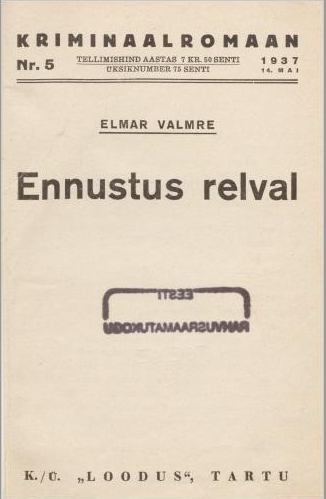 The Oracle, by Elmar Valmre, is a closed room mystery originally published in Estonia in 1937 by Loodus Publishers, Tartu, as Ennustus Relval (lit. “prediction on a weapon”). This translation, the first into English, is based on the original 1937 text and maintains a sense of the more formal language used at the time without losing the pace which keeps the reader focused on the plot. 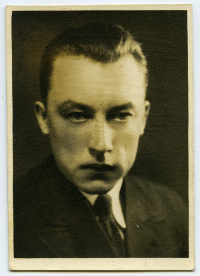 Elmar Valmre (1905-1944) was an Estonian writer and journalist. He wrote for the newspapers Postimees and Telegramm. He also wrote libretti for operas, two detective novels, and other novels and stories, including fiction for children.